I am convinced we could live without a car. Granted, there are certain conveniences we would have to go without, but having given it some thought, I think going without a car would not be an unsolvable problem. Reading a post on AL6400 about the vehicle lifestyle got me thinking. I don’t think it’s a lifestyle as much as it is an entire mindset. Not having ready access to a car at all times is simply inconceivable to most Americans. On the other hand, I grew up in a country where cars and gas were very expensive (due to substantial government taxes) and thus trips or even owning a car was not taken for granted. (In our high school of about 300 students, there were a total of 2 students that had their own car). So let’s look at this rationally. We have already established that I can get to work without a car. I have even established that I can get to work without a bike (granted, that would require either 2:10 hours of walking or 1:20 minutes of running a day). We have also established that it takes 25-30 minutes to walk to the nearest supermarket from our house. Similarly it takes about 40 minutes to get to Walmart. Better yet, it takes 10 minutes to get to the local ethnic store. Getting panniers for the bike would cut these times in half. DW works two blocks away from a mass transit center (with a bus stop). We live one block away from a bus stop. Unfortunately, this would require changing busses once. Currently, the car commute takes 1 hour a day. I think the public transport option would double that time, but most of that time could be spent reading a book in the bus rather than doing 0-15 mph stop and go on the freeway. So what does the car cost us. I think $2000/year is a fair number (I haven’t done any detailed calculations). On top of that is increased health (while this is not so valuable now, it sets the trend for how things are going to be in 20 years – I don’t know about you guys but when I’m 60 I plan to be running young whippersnappers into the ground at the local pick-up games). So I think in combination we’re trading convenience for a few, possibly several, years of work-free living and a few, possibly several, years of life-span. This is the main reason I hate our car. 48 users responded in " The vehicle dependent mindset "
$2000 a year? Does that include insurance? You are in California, right? Cars are more costly than most people realize. DW says $600 for insurance and that her commuting (job) has increased gas to $600. This leaves $800 for depreciation which is not enough. It’s probably closer to $2500 then. Good news is that DW is 50/50 on getting a motor cycle instead. Do you have car-sharing like FlexCar or another? We have PhillyCarShare here and it’s a great compromise between car-commitments and car-free. If you don’t need it for work, you just reserve it for bigger errands or outings and pay by the hour. It’s way cheaper. Don’t forget, when you have a car, you also have to save for the next one. They don’t last forever. If you get a cheapie, then you have to factor in repair costs. As well, only $50 a month in gas? $2500 is a very conservative figure; it is probably much higher. Saving for the next is the depreciation part. There is no plan to replace the current one once it does. Unless the ten year plan changes, DW should have enough $$$ to retire as well at that point. I gave my car to an adult daughter Sept 07 to force myself to get exercise. On nice days I walk or bike 2.8 miles to work. On blustery days I take the bus free with student ID (senior at 48!). College, supermarkets, the library, theater, parks, ethnic markets & my favorite bookstores are all on or near major bus routes. I’m just now coming to understand the FI outlook & getting rid of the Taurus was a big step in that direction. Going carless has given me an unexpected sense of freedom. The longer I go without one the less inclined I am to replace it. It’s only occasionally been inconvenient. The only real drawbacks have been walking in a couple of blizzards and a few moose encounters. But hey, this is Anchorage, Alaska and that’s everyday life. So if I can go carless here, Jacob, you probably can too. I am with you that car in the city doesn’t make such a great idea as many thinks. When I see traffic jams every morning and evening, 80% of cars with only with one person in them.. Pressing the thread in the direction that Fe26will took it in the 2nd paragraph, anyone who can’t live in or near any city without a car is not using the human brain. I think the greater challenge would / will be living in a rural area without a motorized vehicle. “Taken for granted” is a well-worn term, but is it anywhere more applicable than to the conveniences of modern life in or near a modern city? I’m not a pessimist, but I also don’t think it implausible that people (via their governments) could screw up a really good thing at some point. Thus, I find it not impractical to at least consider having a plan for how to live without a car in a rural area, should modern cities become unlivable. Well, I carpool to and from work with a person that’s already driving in, but whereas I could see this being a viable option for a couple of adults without children, I’d like to see how you would get this to work with three children under 5. You could get two child seats, but safety becomes an issue (three seats or something you’re pulling, plus groceries seems unworkable). If you choose the bus route, you still have some walking to do, wrangling children on a bus perhaps without restraints, and then having to watch them plus the groceries or things that you brought– it just seems unworkable with small children. Don’t get me wrong– laudable goal, and those that live far away from work end up paying for it, but small children make a vehicle practically a necessity. I went without a car for four years in a city with mediocre mass transportation. I took a bus to work. I walked to or took a bus to buy groceries. I considered grocery shopping to be my aerobic activity for the day. I put the heavy stuff in my backpack and carried the light stuff in a paper bag. Yes, this was in the olden days before plastic bags and before it occurred to me to bring my own bags. Whenever I wanted to visit my parents (a four-hour drive away), I would rent a car. There are two kinds of rental car places: 1) the kinds in airports geared toward people who have cars but are traveling and 2) the other kind, geared toward people who have cars that are in the shop. The latter is better equipped to serve the carless. I had a friend who would lend me his car when he went out of town in return for using it to drive him to and from the airport. I used that car to load up on big, heavy things I’d been wanting to buy, and occasionally I’d rent a car for a weekend for that sort of thing. I also once took a taxi home from a place where I bought a TV (that was expensive!!). My only real problem was parties. Back then I could still get to most of my friends’ houses on the bus, but the buses would quit running long before I was ready to leave the party. I could always find people to give me rides back, but none of them would let me pay them with money or in any other way, even if I was out of their way. I didn’t like that. And now half of my friends live out in the suburbs where I couldn’t get to them at all. So, now I have a car. However, I buy ten-year-old cars of reliable makes and keep them until they die–so far about ten additional years. I don’t get collision insurance. And I still don’t drive to work (or much at all–I fill the tank once a month or less). I have kept good records–this costs me $150/month (including gas, insurance, upkeep, and repairs) plus I save $50/month toward the next car. So my cost is $2400/year. On the other hand, I also lend it to people whose cars are in the shop (both my boyfriend and my sister have borrowed my car many times). And whenever my boyfriend and I go anywhere together, I drive because I have better gas mileage (and create less pollution). So, given my current circumstances, I much prefer having a car, for $200/month, than not having one. I would rather go without a car, though, than to buy a new one every five to seven years and have to buy comprehensive insurance (and freak out about every little dent on the outside of the car and every little crumb on the inside). I suspect that would cost me three to four times as much as my current strategy does. I have one additional piece of advice if you go without a car. Get yourself added to someone’s car insurance. I know if that person is in your household, and they indicate that you will be driving only 1% of the time, that probably won’t cost them any extra. If you have to use a friend or relative who lives elsewhere, I’m not sure how that works out. But it’s very good to have car insurance in this society. 1) It’s there for you when you rent cars. 2) It’s there for you if you borrow someone else’s car or drive home a drunk friend in their car. It just gives you more flexibility. 3) If you ever decide you want a car again, or you get a job with a company car, you won’t get penalized for not having had insurance. It’s true, they penalize you for not having insurance even if you didn’t own a car or have access to one. People are just not rational about cars in this society. Just read this book recently and it had typical car costs in the $6,000/year range ($8,000/year if you own an SUV). This includes oil changes, maintenance, repairs, and a huge list of other small incremental costs related to owning a car and its lifestyle (e.g. registration and inspection, cleaning, fluids). For people with children who live in cities with poor (or no) public transportation, I think shooting for having only one car is a more realistic goal. 1) I live too far from work to walk/bike (not to mention the uncooperative climate here). I work downtown; I have lived downtown in the past but it is detrimental to my health due to noise, crime, etc. Just not a suitable environment for me. I need peace and quiet and distance from neighbors or I go a little nuts. 2) I suffer from severe motion sickness. Sometimes I even have trouble walking straight! A ten-minute bus ride is a nightmare for me. For some reason I am unaffected when driving myself. So, to offset the “need” for a car, I drive a reliable, 13-year-old sedan that requires very little maintenance cost and gets great mileage. I have spent several years as a student with either no car or a breakdown-prone car. It is very doable. A lot of trips can be replaced with internet usage: shopping, entertainment, news, etc. A few more can be done by mail; e.g. Netflix, vote by mail. Nearly everything can be done this way but it requires more planning. It really helps to have all routine services within a comfortable walk: work, grocery, laundry, any other necessities. In many cases rent is more expensive in ideal places, but it is usually worth it. The no-car savings are greater than the premium on rent. The biggest challenge is non-routine trips: pick up something on Freecycle, visit a friend, go to the doctor, report for jury duty, get to the airport, and so on. You need contingency plans for these things. Between taxis, a bicycle, and the bus you can cover most of your bases. If you can walk to a car rental agency or train station, much better. The per-trip charges can become a deterrent against doing anything, so you have to keep them in perspective. Many of them are comparable to the roughly $.50/mile figure the AAA and IRS have published separately. You can also compromise and keep an old car that has fully depreciated and only use it for these exceptional trips. The per-mile costs approach 0 and you have a failsafe. You could get a big truck to transport things like used desks. Miles per gallon is irrelevant when you drive 20 miles a month. You are technically right (as usual!) about one not really *needing* a car. We don’t *need* a lot of things. And I admire your ability to match your actions with your rational thoughts, in order to achieve a certain financial goal. You live in strict accordance with your reason. But I am starting to gradually realize the extent to which we live in an irrational society. Nay, world. I think most human beings (the extroverted, aggressive, non-INTJ majority) are irrational. They mimic other people, and those other people in turn mimic the rich and/or advertising: it’s one big mess. People will drive cars as long as other people drive cars… to fit in and be seen as “normal.” In the US for example, consumption is the only way to express yourself in a way that is “socially acceptable.” People talk about what cars they bought, or how they are redecorating the backyard, and this is a part of everyday mindless small talk. But in mainstream society, it is taboo to talk about existential matters: why are we alive, what are we doing with our time, what is the purpose of this short time we have before we are worm food??? These are the things that tap into our emotional and spiritual cores. If man really had his best interests at heart (aka was “rational”) then he would seek to address his spiritual and emotional needs as well as his physical ones. The physical ones are taken cared of (food, shelter, etc.) But instead of turning attention to the other needs, we have evolved into a creature-comforts FETISHIZING advertising culture. It’s disgusting. Essentially all of marketing is about how to: decorate the physical body, decorate the home, decorate the car, decorate, decorate, decorate. Everything except decorating the soul and the mind. In the pursuit of things, we have become a “thing” as well. I operate a two car household with each car running an average of $400 a month (including insurance, taxes, fuel, maintenance, and acquisition costs). Yup, I spend more in a year on my cars than Jacob probably spends on his whole lifestyle. Ouch. I’ve been carless for two weeks after mine got impounded (long story)and we are debating getting rid of it all together. My Wife bikes to work every day (no need for a second car) and I can get everywhere by public transport. That’s not the problem, as Kevin pointed out, it’s the weekends, the lack of flexibity I miss. I had to cancel on some plans becuase I wasn’t will to spend another 2 hours on the metro (1 hour each way) on the metro. So far we’re coping by renting a car on the weekend and cost wise it’s working out ok. Thanks, Sid. $6000 per year? So I’m spending 40% of the average. I thought I was spending more like 20% of the average. That’s good to know. Ouch. It hurts a bit to hear that your wife manages to car commute for $2500 a year; my public transit commute comes in around $2300 annually. Even at that price tag, I think it’s worth not owning a car, though. $500 to $600 in tools will pay for themselves in one to two years of car ownership, once you learn to do your own mechanical work. It becomes economical to buy a $2000 car if you don’t have to pay a mechanic to work on it. My own car cost me $3200 used and I’ve had it a good 10 years now. Jacob, if and when you decide to move to automotive and RV mechanics (as you’ve been making noises about), I’d be happy to give you advice/help you figure out what to buy toolwise for your specific vehicles and for vehicle work in general. You can simply email me. Where I’m living now, I can actually commute using the bus or my bike. But most of the time I don’t do that. Because taking a car is ten times more convenient. It takes less time to go where you want to go, you aren’t going to sweat because you’re biking, you don’t have to follow a bus schedule, and you have space to haul around all the junk that inevitably ends up in your trunk. @Insurance Izzy – However, if you’re one of the “average people”, you also spend 20% of your money on your car, which, if you work for a living comes to about 400 hours or 2.5 months of work per year. How convenient is that? Many people have 2 weeks of vacation each year. If they chose not to maintain a car, they’d have 3 months(!). Alternatively, it could be an annual trip to Hawaii. Another way of looking at it (for those who want to work [all their life] or don’t have the freedom to take 2.5 months off for a reduced salary), not having a car means $1,000,000 extra in retirement savings at age 60. OTOH, I can fully appreciate (after having tried to convince DW for about 6 years now) that giving up the car is the equivalent of amputating a leg for some. Actually $2,000,000 of forgone retirement savings if you’re a couple with two typical $6,000/year cars. Impressive indeed! And that’s in today’s dollars. However, a car can be had for just $2,000 (excluding gas, for fair comparison with the bus). So that’s the number most of us will want to use. When I graduated 4 years ago, I remember thinking I should get a car soon. Here in Europe it comes with working life – or at least so I thought! Glad I didn’t rush out to buy one immediately, because 4 years later I still don’t have one and feel less likely than ever to buy one. I’ve also come to see that it’s common not to have a car, especially among young city dwellers (I’m one too BTW). One day I plan to live in the country side and have kids, so maybe I’ll buy a car then, but not before trying to go without one first. I meant $2,000 A YEAR. OK, I admit it: I love cars. Gasp, and I really am paying about $5k per year for the privilege! You forgot to mention that you live in San Francisco which has great public transportation. Move to Mid-size-town Anywhere USA and the car free strategy pretty much fails unless you either live on a college campus or overpay for a tiny apartment in the middle of downtown. You also seem to never have to buy or carry anything bigger than can fit into a backpack. And for some reason you are never faced with the challenge of having to visit anyone or go anywhere other than work/home/grocery store. I’m guessing you simply refuse to be friends with anyone who lives outside of walking distance, have never had to go to the ER, and have never had to inconvenience yourself with something like jury duty. It’s also apparent that you work in a nice area and do not have to travel through slums to get there. I would love to hear DW’s opinion on all this. Because I am thinking about what I would do if my DH suggested that I should double my commute time, but that it wouldn’t be a problem because I could read. Global thermonuclear war or something close, probably. Do you have any suggestions of helping me with my mindset on this one? My car was totalled two years ago. I never replaced it and have been a bus and train commuter ever since. I have a basic monthly membership to Zipcar and check the car out once per month. However, I hate every single minute without a car and all I can think about is buy one at some point. I purposely moved to downtown Seattle to make “life” more convenient but still pine for a car. Help me get over the car thing!! I haven’t gotten one because of – duh, the expense!!! But I’m miserable. Any suggestions? Counting depreciation, the car I owned for 15 years (1992-2007) cost me about $2,000-$2,500 a year (included insurance, gas, maintenance, fees). I did not use that car for commuting to work and drove it about 3,000 miles per year. My commutation expenses on the trains were between $1,700 and $2,300 per year in those years for the most part. When I was working full-time, I did not go out much during the week so the car sat idle most of the time. Once I began working part-time, I used the car more to pursue my interests. I live in the downtown area of my village so most tings I can walk to (i.e. library, post office, deli, bank) but other places such as a supermarket are further away. That and my hobbies (and visiting friends and relatives) are what I use the car the most for. @vga – When we lived in Indiana, we lived about 2 miles from the university campus (where I worked). Shopping was 3 miles (1 mile from work)… I could do it during lunch. It was $660/month (2 bedroom house). Now you’re talking to someone who once hand-carried 60 pounds of amplifiers (in two duffelbags) for 3 miles. However, big stuff is usually shipped and thus no problem. Why anyone still go to retail stores, I don’t know. For big stuff, you can go to Home Depot and rent their truck for $20 an hour. Uhaul has a similar deal. I’ve seen people launch a boat with a uhaul truck. And you’re pretty much right about the last two paragraphs. For those rare situations, it is possible to rent a car. It’s an underappreciated concept. Now, if you need to go somewhere else regularly, move closer, give it up, or find an alternative. I wanted to practice kendo, but the nearest opportunity is in Oakland and that’s just too far away. Instead I do shinkendo, which is similar and is a 15 minute bike ride away. Ultimately, again … how much is a car worth to you? To me … not so much, because I arranged my life fairly diligently around not having one. For someone who has arranged their life around private car ownership or still thinks in those patterns, it’s a challenge. For those of us who do consulting-type jobs, a car is pretty much an essential part of life. I’m from Holland and I drive all over the country to my customers. But, with these types of job, a lease car is pretty much standard. I’m not sure how that works in the States. In Holland, you can opt to use your lease car for private purposes or not. If not, it doesn’t cost you a dime, if you do use it privately it will be taxed, which costs you roughly between 1500 and 6000 euros a year, depending on the price of the car, the environmental friendliness of the car and your tax bracket (which run to 52% here). I take public transportation Mon-Fri, and use the car perhaps once or twice on the weekends to run errands and go up to Napa, Tahoe, Monterrey or wherever. It’s definitely a luxury to have, and I don’t mind paying for the luxury to have convenience. How would that fit in your budget? Can you say “upside down”? * This is a 5-year estimate (based on 15,000 miles per year). ** Ratings are based on a comparison of this vehicle to all new vehicles. Rating scale is 0 to 10 where 10 is best. @Financial Samurai – Exactly. That’s the way cars were originally intended. The freedom to go anywhere on a weekend. That’s not a vehicle dependent mindset. That’s the very opposite. You don’t need a car. You want a car. I like that attitude. Now look at 580 during rush hour with traffic going 35 mph bumper to bumper. Is that freedom? No, that’s the vehicle dependent mindset. Renting a car is what $30 a weekend x 50 weekends? $1500/yr. Plus minor gas costs. Add insurance that u gotta have (in CA at least) and its prolly the same as the $2500/yr for all of you guys. I think the car is an extension of our gains in society, at least, american society. Some societies have been engineered so as to not need a car, some towns and cities modified for bikes (Portland, parts of San Jose, etc) and some places are not that far advanced and thus, do not use cars. In fact those types of comparisons are apples and oranges. People in sub-saharan africa have more important things to worry about that having a car – they need to worry about eating and shelter, etc. I think for the countryside, there isn’t anything wrong with horses as transport (to like neighbors and such). People with motorcycles have saddle bags right? Motorcycles are also a way to go, as they almost require you to learn how to maintain and they have good cost to value ratios. And u don’t sit in traffic 😉 …much. We all take for granted we have the ability to have discussions like this, instead of wondering if we’ll have enough to buy food this month. @Q – Well, American infrastructure is to a great extend based on the premise of cheap oil. Domestically, that premise fell away about 40 years ago. It was replaced with a more aggressive geopolitical stance. That too will fall away shortly if it hasn’t already. Then it’s over. After all, we can’t send the US military to the moon to get oil. 1) The person will have taken the vehicle for granted in their lifestyle. 2) The person will think mainly of ways it’s impossible to live without the dependency rather than the other way around. For ERE purposes, owning a vehicle in the consumer style (i.e. not doing all the work yourself) is going to set back financial independence by several years. It turns ERE into ER. I’m 29 and have never owned a car. Though I’ve never lived in a rural area or a suburb (largely cause I hate them for being so car-dependent), I have lived in Lubbock, TX, Austin, TX, five neighborhoods of Chicago, and a small college town. I’ve usually relied on public transportation. Has it sometimes been inconvenient? Sometimes in Texas, but never unmanageable. Do weird people talk to me sometimes? Sure, and I ignore them or move. I have never been robbed or had anything truly scary happen to me on public transit. Most of the time I have been able to do groceries by walking (sometimes with a wheeled cart) or by having a friend/boyfriend drive me (they offered). Otherwise I would use a cab (for a cost of about $10 every few weeks) or rent a Zipcar (I don’t know how available those are nationwide, but they’re widespread in Chicago). I make few other bulky purchases, and as Jacob said, usually they can be handled online (and are cheaper that way). Clothes you can carry. Furniture can usually be delivered, or you can use a van-type cab. But how often do you need to buy furniture, anyway? As for the arguments that people don’t want to live in or travel through slums, I have NEVER seen a city or town in which the entire central city is a slum. I’ve lived in some pretty bad places, but they still had decent neighborhoods somewhere within the city. Maybe Gary or Detroit or some other Rust Belt areas are total slums? I don’t know. I think most people who say this really just want a yard, new house, or other conveniences of the suburbs. I think we privileged white people greatly exaggerate the danger of traveling through a slum. At least in the U.S. I’ll grant you it may be more dangerous in a developing country. Total:$119/month plus repairs (which you should have an emergency fund for anyway). In my opinion, this is a small price to pay for the incredible convenience and time-saving value of an automobile. @Christopher – You need roughly $30-40,000 in investments + replacement costs to own the car. Whether that’s a lot is of course relative. I own a car. I drive it every weekend. My wife and I moved right between our 2 families, which are a two-hour drive each way. It is easier for us to drive to see them then it is for them to see us. My friends live in various places all over an hour or two away in very rural spots. I don’t like the cost of the car, but in order to visit friends and family, I have one. I don’t need to drive it to work, but I like the 40 minutes the car would save over the bicycle ride every day. Environmentally, it’s terrible the emissions I’m creating which is the one reason I will probably ride my bicycle more often – it’s just a waste of resources. Generally, I would agree that many of us could fairly easily become vehicle independent. Unfortunately, I live in Alaska and it’s impractical to think I can bike to work during winter(unless I put chains on my bike tires…hehe). Also walking to and from work during winter can be a little tricky as well (lots of ice and no clear sidewalks & darkness). Where I live there is no public transportation. BUT in general I agree with your idea if it’s possible to put to practical use. This last weekend I took it in to get its oil changed (first time in 11 months) and was told that the suspension was going bad on it (it shakes excessively). Once this happens I think that the car will be totaled. I’m still on the fence with wether I want to replace it with a microcar (basically a glorified golfcart) or a velomobile (a recumbent bycicle with a shell). Either way my max speed will drop from 65mph (maximum speed limit in Wisconsin) to 30-ish mph. Right now I am leaning towards the velomobile. An option for some of you is to get a vespa or other motorscooter. Unlike a motorcycle, there is a platform for your feet and may also be a little hook on the seat between your knees where you can hang a grocery bag or 4. You can put cargo there. You can also put cargo under the seat and in a luggage compartment on the back or front if you have racks there. They get pretty good mileage, have low insurance costs and you can get free parking much of the time. I have one and ride it everywhere in my small city in a radius that spans about 30 miles. I will ride it in the rain unless there is flash flooding in the street. It does not snow where I live. So do we. At least me. Interesting & v.frightening, just done the numbers for my car in the UK ( a small diesel Caddy – yes we have them). All in the cost works out at 32pence UK/mile ( 52 cents US) including depreciation, insurance, tax, fuel, breakdown, maintenance and repair, inspections and importantly replacement. I don’t know if it is fair to load the replacement cost onto a depreciating asset or not but it “feels” right in the case of a car. So, with the mileage I do this works out at about 24% of my “take home” salary. Time to have another think! Some of us who aren’t yet FI do in fact need the cargo hauling capacity and mobility that a car (or in my case a pickup) affords us. Working in the glorious field of retail, I have to distribute inventory from the central location to two others, and sometimes back. I also have to instantaneously show up when the store gets broken into, robbed, or someone doesn’t show for work. After FI, this situation will obviously be different. I’ve looked into other solutions. I even started commuting by bike and using a cargo trailer (just two days/week to start, hopefully to move up to 4), but then the high temps here in TX got to be over 100 every day. So far we’ve had over 65 days of 100+ degree heat this summer. And the shortest round trip in one day of work is about 20 miles. When the high temperature drops below 90, I’ll be at it again, but I’m not into heat stroke, which is a very real danger with a commute/delivery that long in this weather. Another thing to consider is that my mileage gets reimbursed. My enlarged lunches don’t. And my workday is longer when I bike. So it’s definitely a sacrifice of time, effort, and convenience for the sake of ideals. I get good enough mpg that the gas is paid for. I haven’t researched routine maintenance and depreciation, though. If I did, I suspect I would find that I do indeed save a little money when I bike. I still can’t fathom going without a vehicle, though, for emergencies and for weather (and a job) like this. I’ve lived without a car for 10 years and although there are occasional times when I’d like it for the ability to visit places that are harder to get to via public transport, for the most part I haven’t missed it. 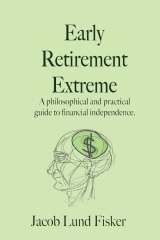 I have saved a great deal of money and I love this – it’s probably one of the factors that led to my semi-retirement. So, here I am way behind. Probably the worst offender to date. Pun intended. I was forced to go without a car for 18 mths after a marriage break up where he got everything. Before I had been driving 40-50 miles per day. It was hard at first but like everything in my life, I embraced it. Rather than complaining about walking, I appreciated the exercise. Buses gave me an opportunity to engage with other people and I grew a secret goal to make every bus driver happy. When I was given a car from my nephew, most weeks it just sat in the drive. But the longer I had it the more I used it. I now work too far and from home to do without. There also not a good bus service there. But I know with planning I can live without a car. Maybe not until I do retire which but knowing that when I retire means I’ll need less money to retire on so in effect being able to live without a car after retirement will still bring retirement sooner.